We are excited to present our annual golf tournament for 2018! 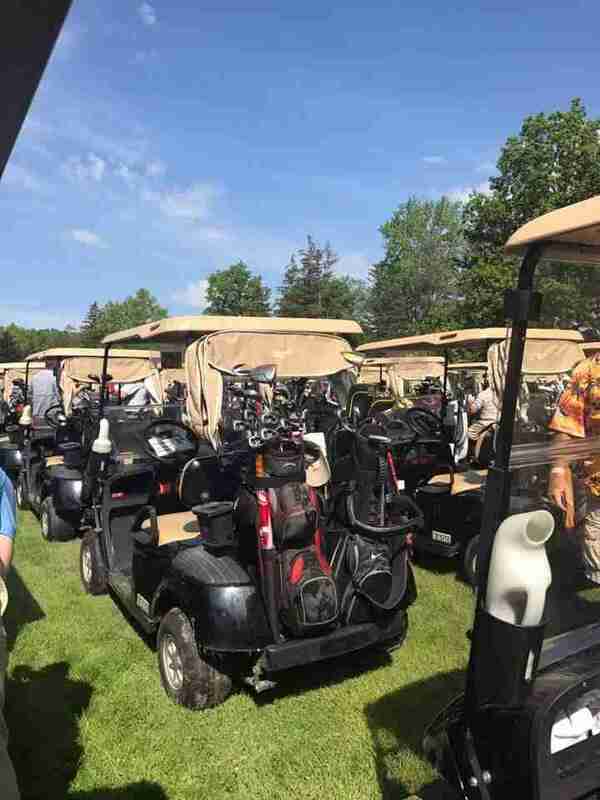 The golf tournament is one of West Lake’s biggest fundraisers each year. As a volunteer, non-profit organization, we depend on fundraisers and donations to keep the fire department financially running. Money raised through fundraising and donations goes directly to operating costs of the department to include: purchasing turnout gear, hand tools, breathing apparatus, station improvements and much more! 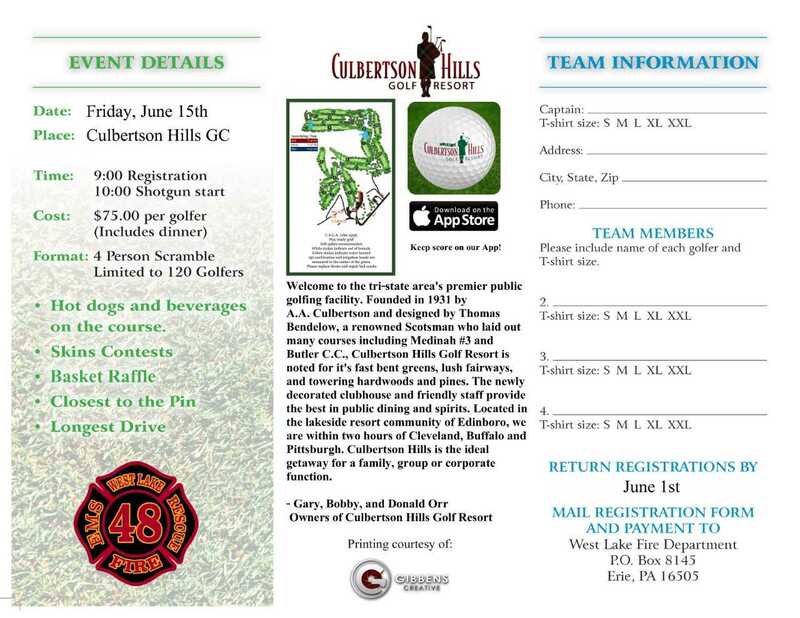 This years golf tournament is sure to be a great time! There will be hot dogs and beverages on the course, several contests during play (i.e. closest to the pin, etc), a Chinese auction after dinner (which is included) with some awesome prizes! This tournament is a 4 person scramble that is limited to the first 120 golfers! So act quick! Print off a registration form and send it to the address provided on it. 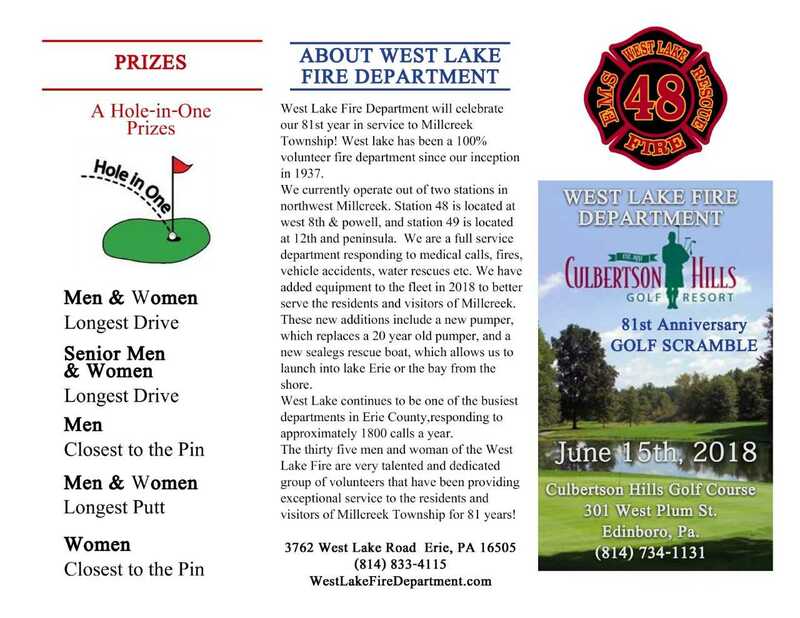 If you are having trouble with the registration, you can pick one up at the fire station (3762 West Lake Road Erie, PA 16505) or email dedwards@wlfd48.com for help!